David J. Conner was born and raised in Mobile County, Alabama, and he has been a resident of Baldwin County since 1997. Mr. Conner graduated with honors from the University of Southern Mississippi in 1993 with a degree in Business Administration, with an emphasis in music, and he graduated from the University of Alabama School of Law in 1996. While in law school, Mr. Conner served as Vice Chair for Competition for the John A. Campbell Moot Court Board, and he was an Associate Justice on the Honor Court and a member of the Bench and Bar Legal Honor Society. Mr. Conner became an associate with the firm in 1996, and he became a partner in 2001. Based on the nature of the firm’s practice, Mr. Conner has engaged in many areas of practice including, but not limited to: real estate and commercial litigation; representing governmental entities, boards and commissions; advising clients on bond issues and financing structures for local governmental entities and economic development; representing utility companies; construction defects litigation; commercial transactions; personal injury; products liability; wrongful death; and estate planning. Mr. Conner has acted as a mediator and has previously been appointed as a guardian ad litem, special master and hearing officer by the Baldwin County Circuit Court. In addition, Mr. Conner is a registered lobbyist and has been involved in the drafting of legislation, served on an appointed committee for the Baldwin County Legislative Delegation and assisted clients in the legislative process. Past and present representative clients of the firm include the Baldwin County Commission, Baldwin Electric Membership Corporation, the City of Spanish Fort, First Gulf Bank, Peoples First Community Bank, Baldwin County Sewer Service, the Cooperative Improvement District of the City of Spanish Fort, Highway 181 Public Facilities, Kolcraft Enterprises, Bay Minette Municipal Airport Authority, First Baptist North Mobile, several property owners associations and numerous businesses and individuals. Mr. Conner is a member of the Alabama State Bar, the Baldwin County Bar Association, and the Alabama Municipal Attorneys Association. 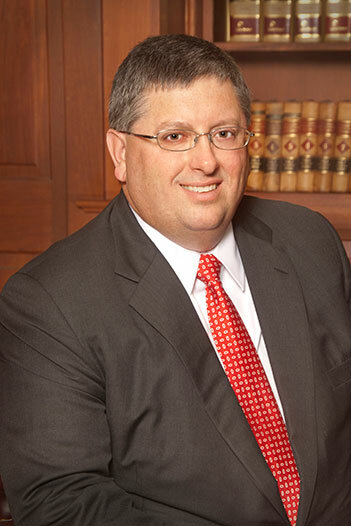 Mr. Conner was a member of the Alabama State Bar Leadership Forum, Class 7-2011, and he has also served as a member of the Solo and Small Firm Practice Task Force and Co-Chair of the Mobile-Baldwin Bench and Bar Committee. From 2002 to 2008, Mr. Conner served as a Board Member, President, Vice President and Drive Chairman for the North Baldwin United Way (now known as United Way of Baldwin County), and he has served on the University of Mobile Board of Trustees since 2007. Mr. Conner is married to Lori S. Conner, and they have three children, Lillie Ruth Conner, Benjamin David Conner and William Jackson Conner. Mr. Conner and his family reside in Spanish Fort, Alabama, and they attend the First Baptist North Mobile where he and his wife are actively involved in church leadership and teaching. In addition, Mr. Conner’s family is involved in numerous community activities in the Baldwin County area. Mr. Conner enjoys spending time with his wife and children, fishing and other outdoor activities.